Oakley Base Plane is a Full Rim, Full Rim frame for Men and Men, which is made of Steel. 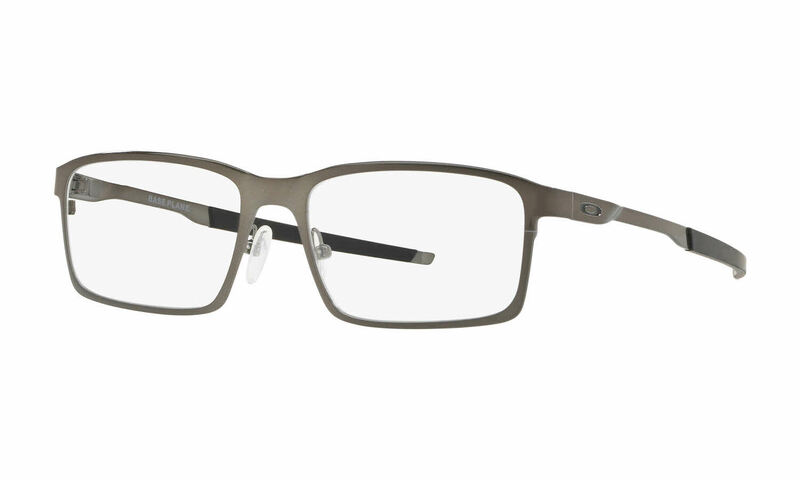 Oakley Base Plane Eyeglasses come with a cleaning cloth and protective carrying case. I ordered a complete pair of frames and lenses. The Oakley frames are super looking and fit perfectly on my face. The lenses are also very good Quality as I ordered the Premium package. I highly recommend FramesDirect.com, and have already used them again to order a pair of Oakley sunglasses. I have also recommended FramesDirect to friends and family to use for ordering their glasses or sunglasses in the future. Very well built frames that are well balanced with around hinges. Nose pads hold them in place very well. They are a little heavy if you're used to plastic frames. The heavier feel could take some time getting used to them.